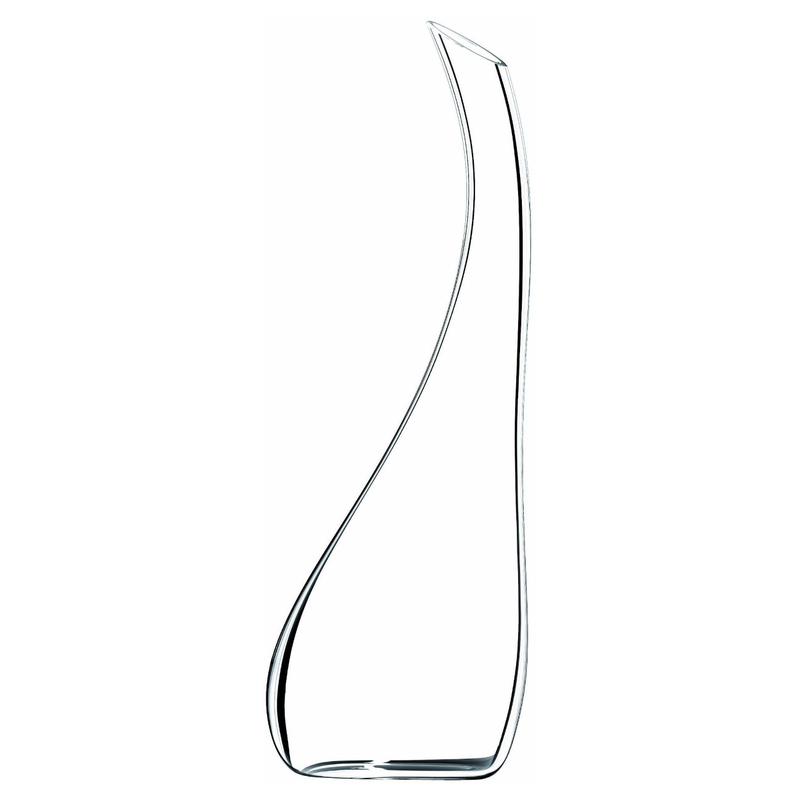 Simple and stunning, the Riedel Cornetto Magnum decanter has a sweeping, asymmetrical profile and a smart design, improving the wine-drinking experience on every front. Crafted by the world's most renowned manufacturer of wine ware, the piece is mouth-blown in Germany by premier glassmakers. It is full-lead crystal for exceptional clarity and brilliance, and the mouth is cut at an angle to stunning effect. In addition to being a thing of beauty, the decanter helps reduce the chance of sediment in the glass while letting flavors and bouquets develop through increased exposure to oxygen. Standing 16-3/4 inches high, the piece holds 63-5/8 ounces. Riedel recommends washing it by hand. I prefer to decant wines, both young and old. It is a sign of respect for old wines and a sign of confidence in young wines. Decanting old wines, just a few moments before they are served, helps to ensure that the wines clarity and brilliance are not obscured by any deposit that may have developed over time.